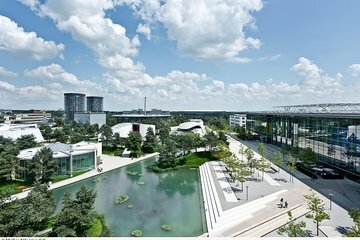 A short drive east of Hanover, the sprawling Autostadt complex in Wolfsburg was built as a testament to the automobile. Autostadt is home to the Zeithaus Museum, a striking museum with exhibits illustrating the evolution of the automobile through the classic cars on display, and eight separate pavilions dedicated to different global car brands. Instead of wasting time waiting in line to pick up your tickets, book them in advance and build your schedule around your visit to Wolfsburg.